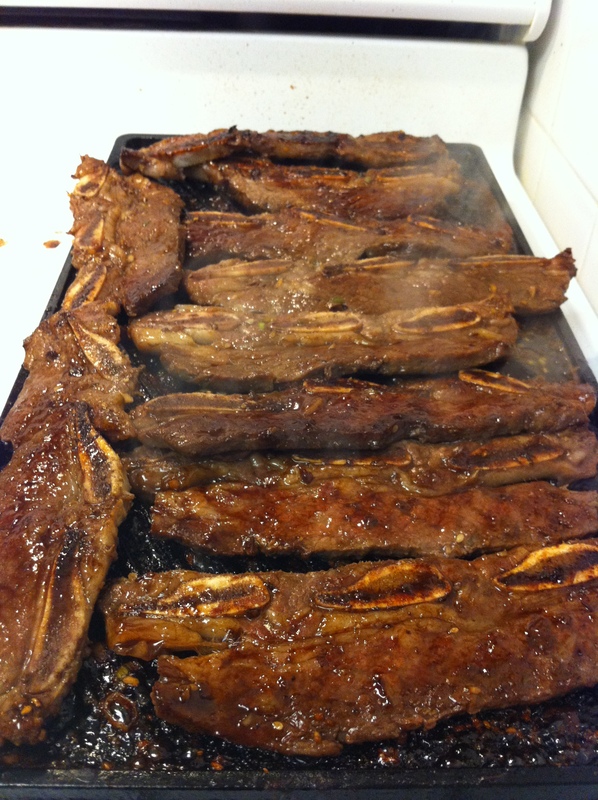 Galbi (갈비) is the third part of my series using bulgogi (불고기) or Korean BBQ marinade. Galbi is one of the most popular Korean barbeque dishes and is simple as just marinating short ribs with my bulgogi sauce and grilling it. 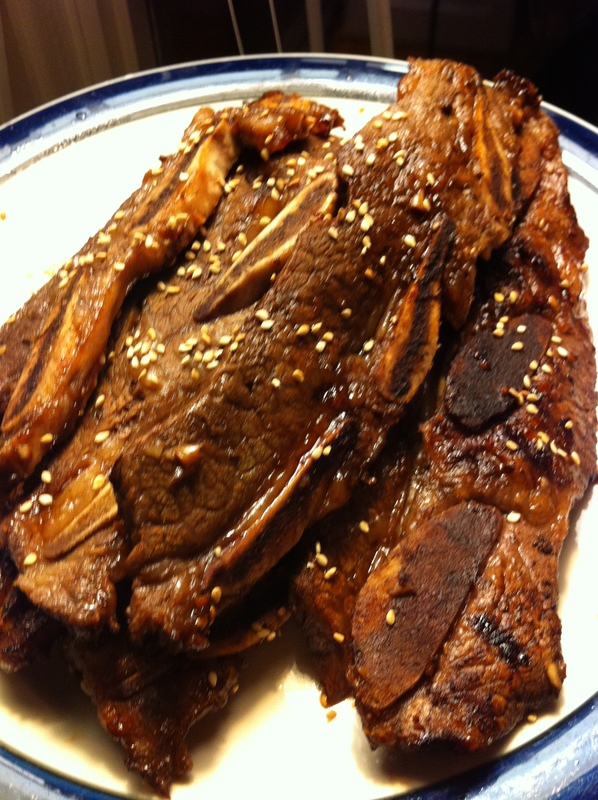 “LA galbi” indicates the horizontal cut style of short ribs, which can be found in Korean markets. You can also ask your local butcher to cut the short ribs about 2 inches across the bone and butterfly the meat open before marinating it. I sometimes prefer this style of galbi and you will see many restaurants serving galbi in this style. 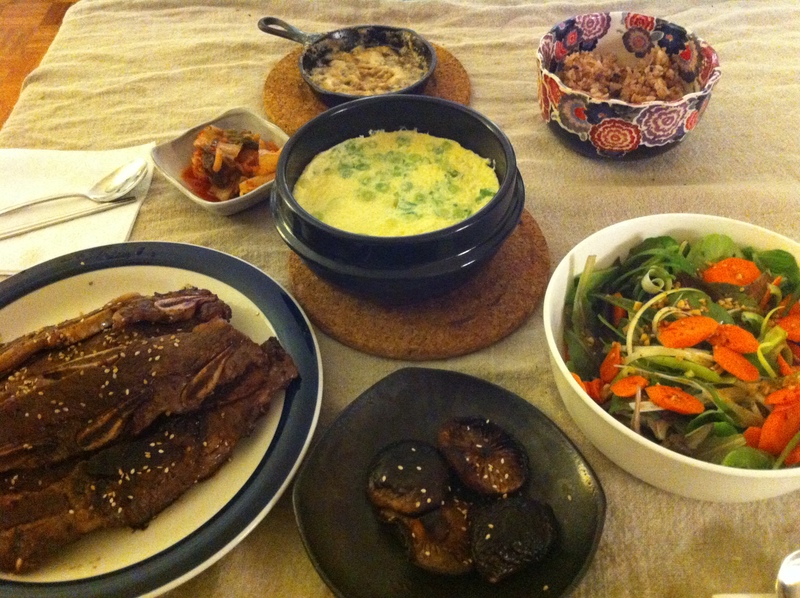 I like to serve galbi with red leaf lettuce and ssamjang (spicy soybean dipping sauce). Another perfect match is duenjang-jjigae (된장찌개, soybean paste stew) and gyeran-jjim (계란찜, steamed egg). 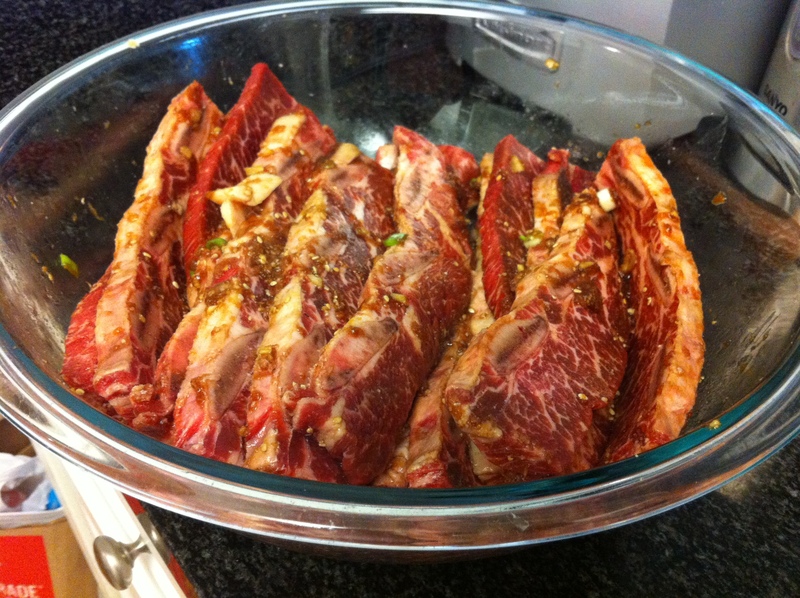 Marinate the short ribs in the Korean BBQ sauce just enough so that the marinade coats all sides of the meat for at least 1 hour, or even better, over night. If you have less than 1 hour to marinate, then add more sauce. Grill the short ribs on a grill pan. You can also place a skillet on high heat, drizzle with sesame oil and pan fry the short ribs. 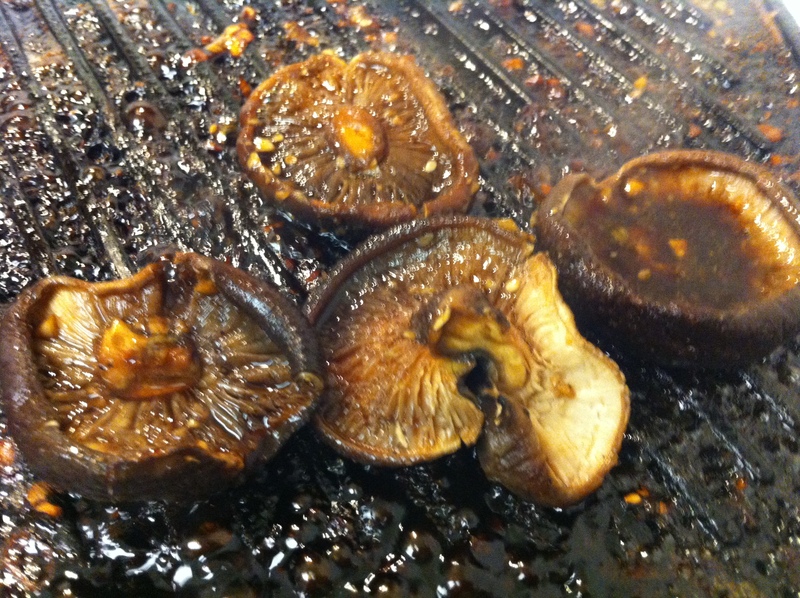 *OPTIONAL: I like to marinate shitake mushroom in bulgogi sauce and grill it with the galbi. This entry was posted in Good for dinner, Good for lunch, Main Dish, Meat/Chicken and tagged Korean BBQ, Korean BBQ Marinade by gangnamkitchen. Bookmark the permalink.